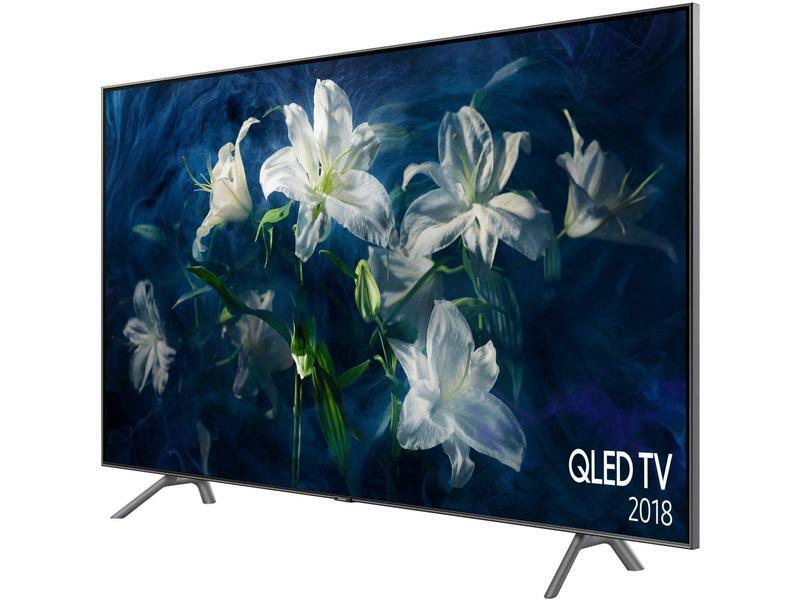 Take in the newest movies and TV shows with this fantastic Samsung QLED Smart TV. Using next generation technology, this 75" TV delivers more remarkable detail than ever before. Choose from a variety of streaming services to enjoy the realistic quality of this carbon silver Samsung TV. Even better, it comes with matching stand, making this TV an even more stylish addition to your home. 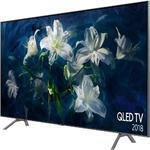 Whenever you watch your favourite shows, day or night, the QE75Q8DNATXXU can make every experience more magical. With a screen resolution of 3,840 x 2,160 you can be sure that you’re getting the most out of your entertainment. Its 360-degree design means this TV is beautiful to look at from every angle. Q Contrast Plus uses intuitive technology to adjust the colour and brightness to perfect levels for its environment. And, the Q Direct Dimming technology divides the screen into separate zones which are each able to adjust the image. This creates deeper blacks for greater contrast – called Ultra Black Elite. Alongside radiant colours, the QLED TV provides an incredible picture even with glaring sunlight. Download and access other apps through the Google App store – there’s always more to explore. This Samsung TV is packed with smart technology. It’s Wi-Fi-enabled and comes with an ethernet cable for your convenience. The QE75Q8DNATXXU supports PC streaming – perfect if you’ve got a game on your laptop that you want to experience on the big screen. Want to connect your devices to your TV? With four HDMI ports and two USB ports, as well as Bluetooth connectivity, it’s quick and simple to get all your gadgets connected. With Samsung’s Ambient Mode, you can even enjoy your TV when you’re not watching it. Elevate your living room with decorative content, useful information, and your own photos. You won’t notice the TV on the wall as it blends perfectly with your decor, and it can even play a bit of light background music. The unique Samsung QLED quality brings 100% colour volume to your home. Now you can enjoy flawless movie nights and feel the extraordinary vibrancy when watching a wildlife documentary. Over a billion colours are brought to your screens with Q Colour technology – transforming the latest games into all-encompassing immersive experiences. On the QE75Q8DNATXXU, you can see incredible detail that only Samsung provides. This is thanks to the Q HDR 1500. Feel every thrill in an action movie or see every incredible detail of the latest superhero flick. Powered by HDR 10+, every movie or show you watch is adapted to bring you the best possible picture so that your viewing experience is always a pleasure. The brightest whites and the darkest blacks are combined to create the perfect image, so you can fully immerse yourself in what you’re viewing. Watch your favourite titles in unsurpassed quality and bring the cinema experience into your home. 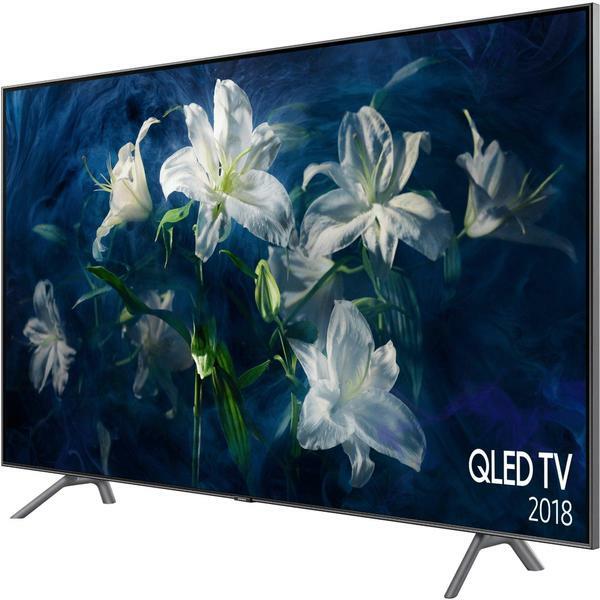 Order the Samsung 75" QLED TV at Euronics today.